All of the designs that are included in this pattern. These designs by Jackie Erickson-Schweitzer (aka Jackie E-S) were among the first I ever tried adding beads to knitting. And they remain among my favorites. It struck me that these would be wonderful to offer again in kit form. The kits will not automatically include a pattern. We have a few options for how you might like to get this. We have in stock a few hard copies (printed versions) of the pattern which you can find here. Or! 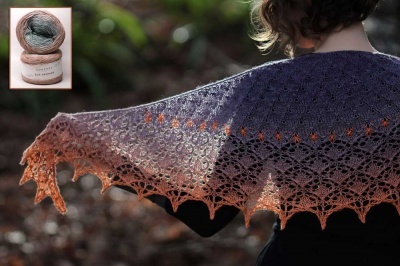 You might prefer getting the pattern via Ravelry, as a PDF, directly from Jackie's Rav page here. 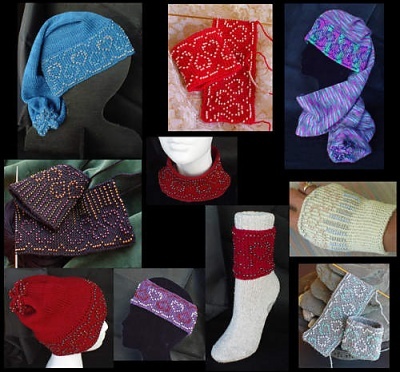 You will notice that this pattern offers a complete set of 10 patterns which includes all sorts of wonderful designs -- hats, headbands, collars, wristlets, and more! What we have put together for kits on this page will serve you well for making the Beanie Hat. Here is a bonanza of ten projects using variations on a heart-themed beaded knitting design. 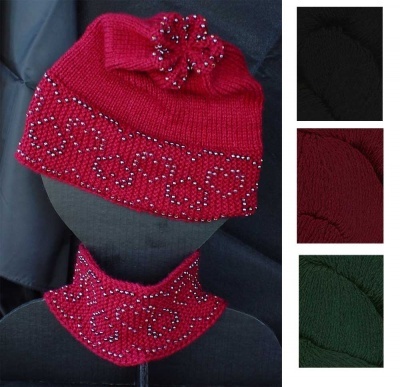 Pattern includes four styles of beaded garter cuff writlets, sock-not cuffs, headband, stand-alone collar, and three styples of hats. There is also a step by step tutorial for working beads in mulit-color designs. 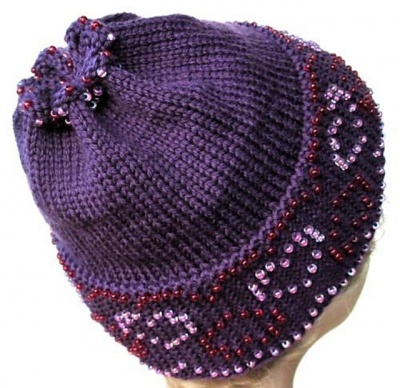 This beanie hat features a design in 2 bead colors. Don’t worry, the instructions take you step by step in knitting a planned color sequence of beads. 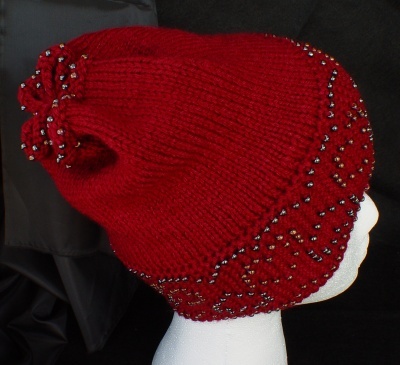 The hat is finished with a beaded edge and gathered to form a decorative crown. 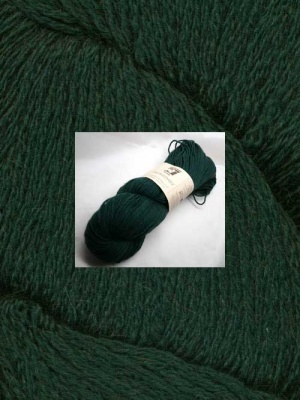 Jackie recommends for an adult-sized hat 165 - 190 yards (151 - 174 m) of DK weight yarn. Our yarn is not the same as what Jackie used in her original. You can see it in the inset photo on the top picture and again below that. 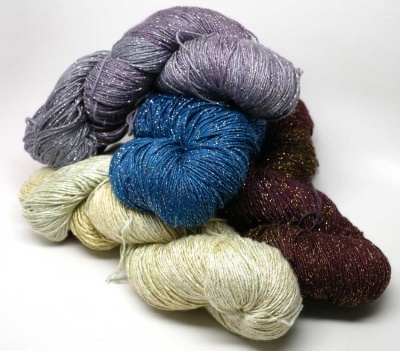 The yarn for our kits is from Juniper Moon Farm and is called Dromedary. It is a delicious-feeling luxury yarn made up of 70% extrafine merino wool/ 30% baby camel and has 290 yards (266m) per 100g. The fact that it has wool will ensure it has memory and keep its shape (important in a hat); the merino and baby camel combine to be oh-so-soft and delightful against the skin. We have a few colorways to offer. Each kit will include one skein. If you want a second skein (to make perhaps the Tobaggan Hat or the Tobaggan Hat-Scarf, also in this pattern), contact me and we'll set you up with a special kit. 1. 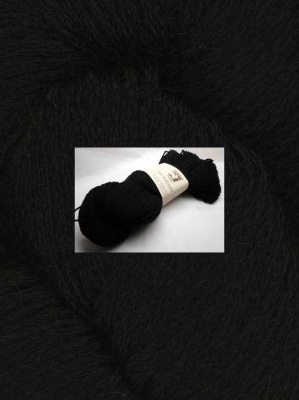 For those with good lighting to knit by, we have brought in Night Owl, a deep black. This will be amazingly dramatic with the beads to highlight the whole. 2. 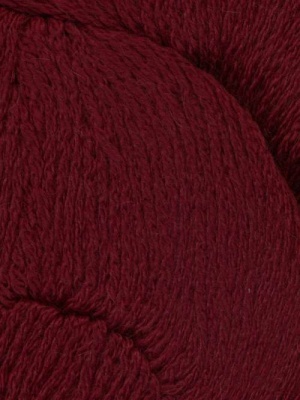 We also want to offer the colorway called Red Robin. This is a rich and vibrant red, perfect for celebrating Valentine's Day and for adding that special touch of color to the winter landscape (sort of like being the cardinal at the bird feeder). 3. And if you are pining for the greens of Mother Nature's leaves and grasses, or maybe preparing for St Patrick's Day, we have Emerald Forest. This is a wonderful deep green, the colors of evergreens in sparkling woods. For the Beanie Hat, one needs two colors of size 6/0 beads, about 25g of each. Take a look at some of the photos of Jackie's originals to get an idea of how this all comes together. If you have a preference on your bead color, tell me. Otherwise I will choose for you.